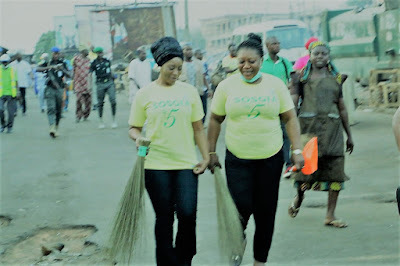 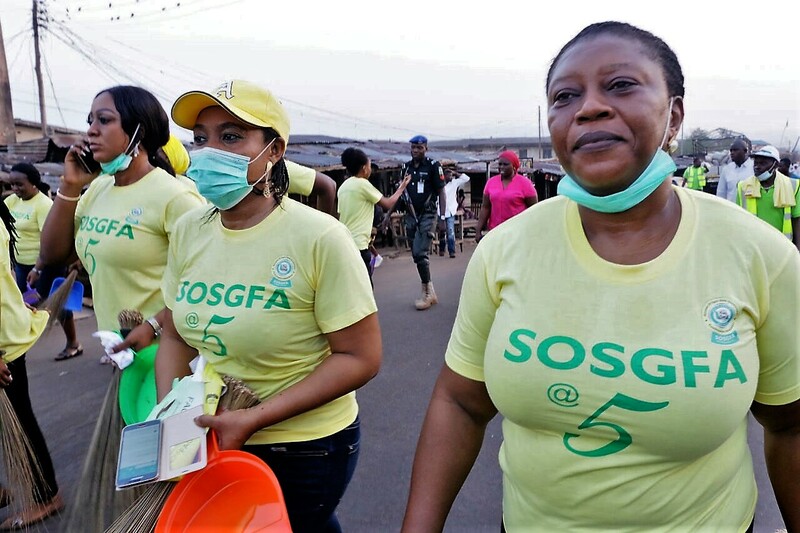 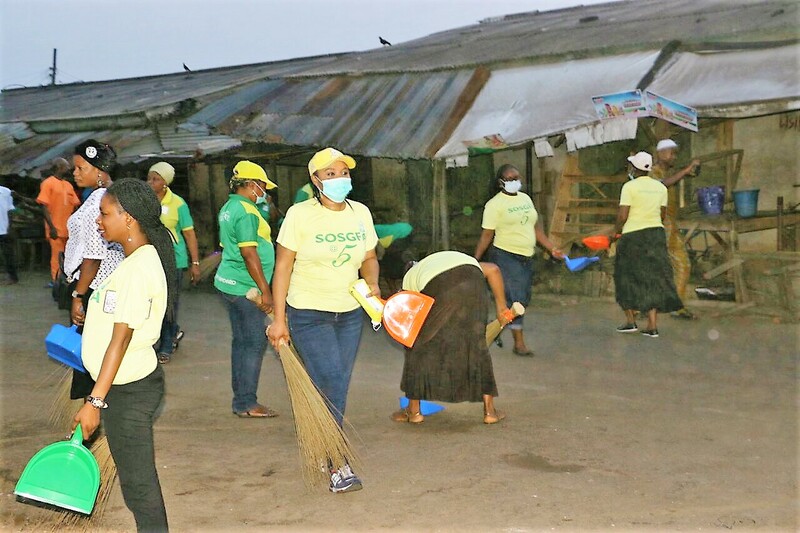 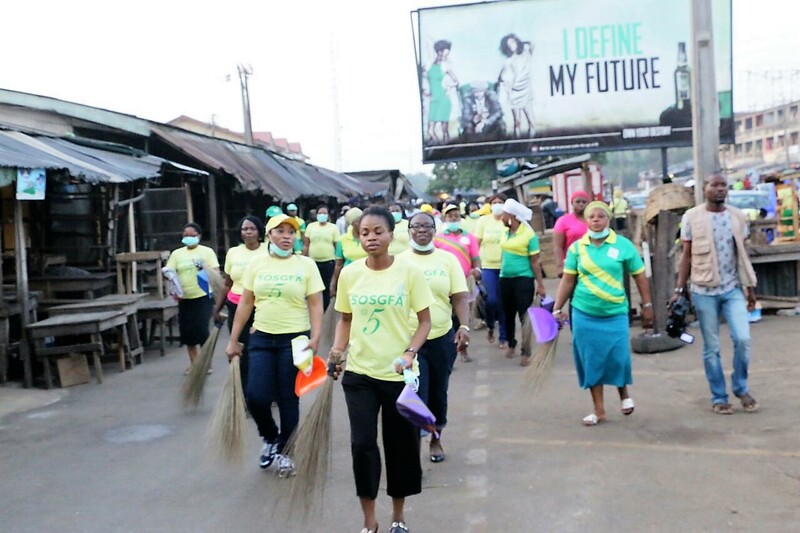 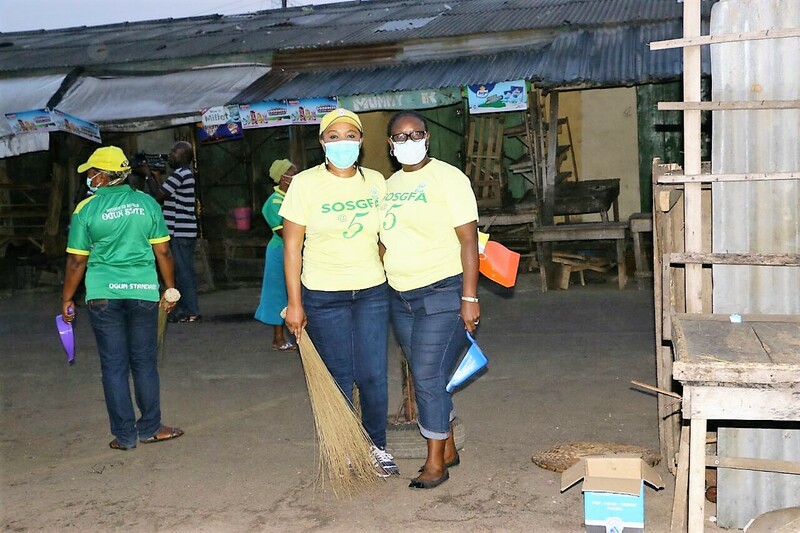 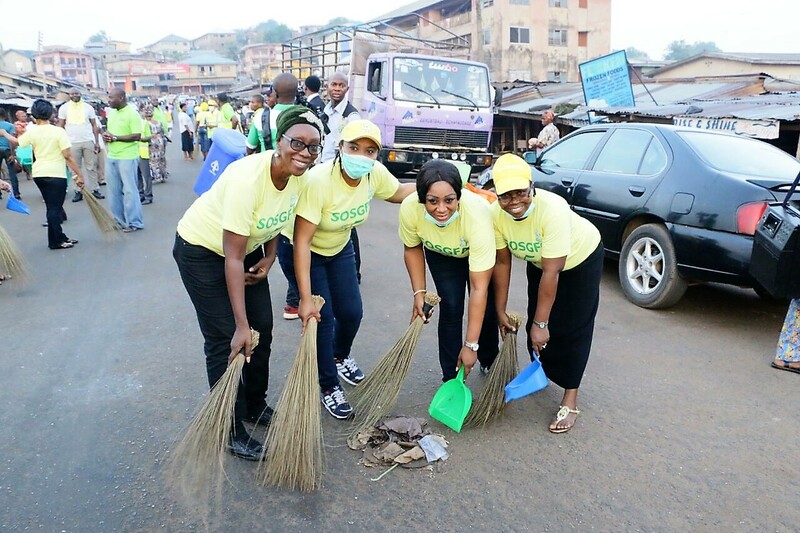 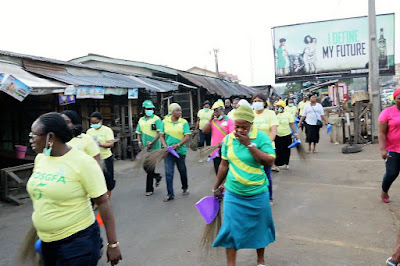 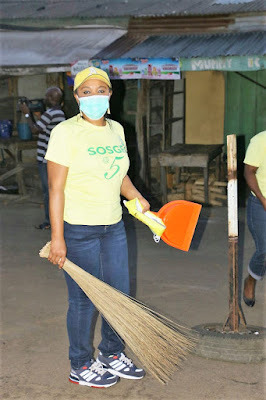 Yesterday in Abeokuta, capital of Ogun State—South West Nigeria, Spouses of the State Government Functionaries under the auspices of “Spouses of Ogun State Government Functionaries” (SOSGFA) trooped out en mass to sweep major markets in the city. 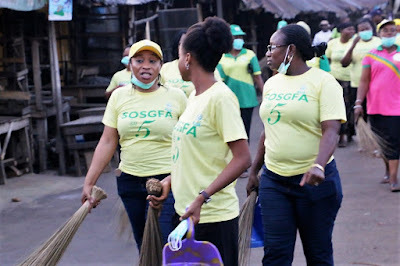 Her Excellency Dr (Mrs.) Olufunso Amosun, the exercise was part of activities marking the 5th year anniversary of SOSGFA which began early this week to climax with a seminar/banquet this weekend. Spouses of Ogun State Government functionaries (SOSGFA) is a private initiative of the first lady, Dr. (Mrs.) Olufunsho Amosun which enables wives of other political office holders in the cabinet of His Excellency, Senator Ibikunle Amosun (FCA, CON) to share in goodwill activities that drives sucor and dividend of democracy to the vulnerable and underprivileged ones in Ogun State. 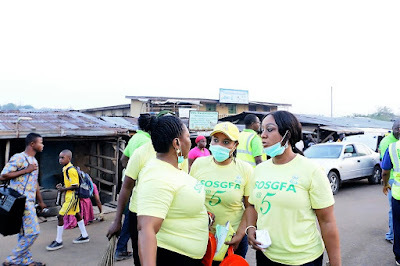 Since inception 5 years ago, SOSGFA has engaged in various Prison visitations, social enlightenment projects for the masses, visitation to motherless homes, empowerment schemes for vulnerable and underprivileged youths and women among many other socio-empowerment activities in the state. The general cleaning exercise of markets and other public place took place from Lafenwa, Itoku, Kuto into other major markets from the early hours of the day and ended in the evening. Others who joined the first lady to sweep the markets are Barrister (Mrs.) Folashade Adeoluwa, wife of the State SSG, Barrister Taiwo Adeoluwa, Barrister (Mrs.) Funmi Adeyemi, wife of the S.A. to the Governor on Agric; Mrs. Funke Oladipo, wife of the commissioner for culture and tourism and Barrister Chief (Mrs.) Caroline Adeneye, wife of the Ogun State Commissioner for Information & Strategy, Otunba Adedayo Adeneye among many other hardworking spouses of top government functionaries who humbled themselves to serve community at large. 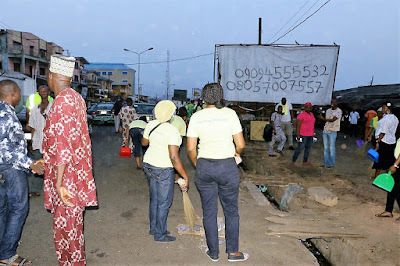 See the pictures from the exercise as presented by Asabeafrika.